Eating this SuperFood Granola improves joint mobility and flexibility in any Yogi who wants to practice yoga poses with more ease. Being yoga fit requires strength, flexibility, mobility and a balanced mind. Seasoned Yogis know that joint mobility & flexibility are crucial to better engage yoga postures. A Yogi must have enough flexibility to perform even the simplest of asanas (postures), let alone complex movements and poses. In this article, you will learn how to protect your joints from injury. And you will also learn about specific functional foods that will nourish your joints, tendons, and ligaments to improve joint flexibility, joint mobility, reduce your chance of developing arthritis, or reverse arthritis and enhance your yoga practice. Why is yoga so incredibly popular around the world? There are myriad reasons why people are attracted to yoga, and one of the most common reasons comes from the stretching aspects of yoga that are inherent in its practice. People — particularly those who are naturally flexible — feel a sense of freedom by stretching their joints beyond their normal limits during yoga postures. In fact, some people describe the compelling urge to overcome the body’s natural resistance to a yoga pose as no less than intoxicating. However, there is a downside to intense stretching such as this. Some yoga students begin to feel joint distress, such as stiffness in their knees, hips, or neck, or persistent lower back pain as a consequence of pushing through their body’s natural limits to achieve a difficult yoga position. It is human nature to concentrate your time and attention on the things you enjoy most and to shortcut or avoid altogether activities that you don’t enjoy. This is also often true with people who practice yoga. Yoga practitioners must be aware that they are responsible for the condition of their own bodies and must seek to enjoy yoga in a balanced way, combining strengthening components with yoga’s intense stretching, and being careful to not overdo any particular stretch. As experienced yoga practitioners would be well aware, the human body tends to respond with resistance when the limbs are stretched. This natural bodily reaction serves an important purpose, protecting muscles from becoming injured and joints from becoming unstable. Mel Robin, experienced yoga anatomist, described this phenomenon as the “stretch reflex” in his 2009 Handbook for Yogasana Teachers. As Robin explained, when deep stretching occurs, muscle fibres that are attached to tendons within a muscle send a clear warning signal to the brain, which is registered as resistance or discomfort. Should the stretch be forceful, the muscles will react by contracting rather than allowing themselves to be stretched. As this reaction is the opposite to what the yoga practitioner is seeking to achieve, a forceful yoga movement should always be avoided. This is why yoga teachers continue to stress that pushing or bouncing during a painful stretch can sometimes cause an injury to the muscle. On the other hand, yoga that is practiced in a mindful and gentle way, with moderate, slow stretching, provides an entirely different result. In this instance, the Golgi organ, located within the tendon, resets the stretch reflex’s tension by releasing muscle fibers because it has had the time to register the stretch and to make appropriate allowances. By way of example, consider what happens when the thermostat on an air-conditioning unit is raised to a higher temperature. Of course, it takes longer for the air-conditioning unit to spring to life and cool the room. Similarly, the more chance the muscles have to relax into a stretch, the less likely it is that injury or pain will occur because there is less resistance in the joints. As part of learning how to achieve a safe stretch, it is equally important to understand some basic body anatomy. Put simply, the role of muscles is to enable movement by pulling on bones, while the role of joints is to provide an element of flexibility. Bones are there primarily to support the body’s weight. Ray Long, yoga therapist and orthopedic surgeon, described in great detail the factors that influence the stability and mobility of joints in his 2014 publication, Yoga Therapy, and Integrative Medicine. In his work, Long describes the role played by muscle stability, soft tissue stability surrounding a joint, as well as the shape of a bone, in the facilitation of joint movement. It is important to understand different types of joints and how these types operate in different ways to facilitate different types of motion. For example, the human knee is an example of a hinge joint, which operates similarly to a door in that it can open and close but cannot perform any circular motions. The knee is unlike the hips, which are an example of a ball-and-socket joint: highly mobile and able to perform circular motions. The head of the femur (the long thigh bone) fits neatly into the acetabulum (the indentation within the set of three bones that form the hip). Even with this basic understanding of human anatomy, it becomes clear that hip joints are capable of a wider range of movements than, for example, knee joints. Soft tissues are also an important part of joint structures. 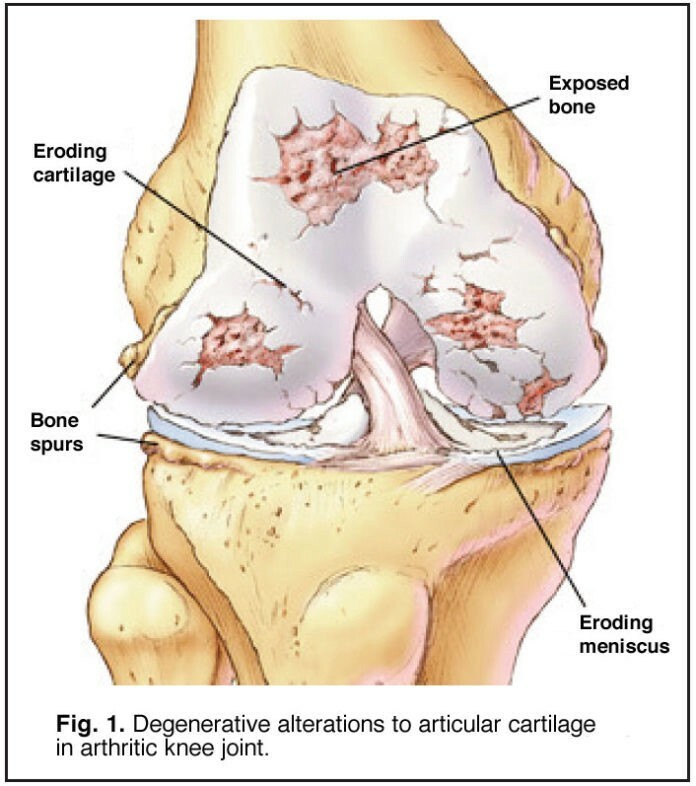 Ligaments are an example of soft tissues and serve the role of connecting the capsule of a joint, its lining, and the surrounding bones. Ligaments act as stabilizers and do not enjoy the elasticity that muscles do. For this reason, it is vitally important to understand the natural limitations caused by the shape and makeup of joint sets and to never force a joint into a painful or unnatural position. Movement or articulation becomes possible when muscles attached to joints pull on the bones. At every joint, there are muscles with competing aims: antagonist muscles that resist movement, and agonist muscles that contract to move the bones. This explains why it can be counter-productive to solely focus on the stretching motion while working a particular joint in a yoga session. Always remember that the stretching muscle lies at the point of resistance. When you force a stretch past a normal amount of resistance, muscles and joints are potentially put at risk. Just as you would proceed with caution when approaching a yellow light in traffic, take the same precautions when you encounter high levels of resistance during a stretch. Now that you understand why it is important to never force a stretch, the question becomes: how can you safely deepen a yoga pose? To achieve this, remember that agonists — muscles that contract — can work to your advantage. Let’s take an example. If you are lying on your back and wish to stretch your hamstring muscles, it can be tempting to either pull your thigh towards your head or to attempt to force your torso nearer to the thighs. Either of these motions will cause resistance from your body that will seek to inhibit the motion in order to not put the hamstrings and the knee joint at risk of injury. To safely perform this stretch, make good use of the quadriceps, located at the front of the thighs. Consciously focus on contracting the quadriceps muscles, drawing them up towards the hip and back towards the femur. This will create the stability that will protect the knee joint. While concentrating on tightening the quadriceps muscles in the front of the thigh, shift part of your awareness to the hamstring muscles and consciously invite a lengthening of these muscles. Use rhythmic steady breathing to allow — but not force — the hamstring muscles to comfortably and slowly release. Should you find your hamstring muscle is particularly tight, it can assist to alternate between small moves that straighten and then bend the knee. By alternating relaxation and effort of the hamstring muscle, fibers within the muscle have appropriate time to adjust to the process of lengthening and can help you achieve a lasting stretch that is safe and does not put any joints at risk. · Avoid forcing any movement. · Learn as much as you can about different joint types within the human body, and how each joint type is designed to move. · Make good use of competing muscles by using one set of muscles to pull the bone while allowing opposing muscles to ease into the stretch at the same time. · Include in your yoga practice a healthy balance of stretching and strengthening in all parts of your body. · Be mindful of warning signs and pay attention to your body’s messages in order to avoid injury. Being mindful of how you practice yoga to avoid injury is one thing, but did you know that certain foods can help protect and rehabilitate your joints, tendons, and ligaments from injury and misuse? Getting the right combination of micro-nutrients is imperative to rehabilitating and protecting your joints. Those involved in activities that put undue stress on their joints are advised to incorporate certain adaptogenic herbs and tonic herbs that deeply nourish the joints and facilitate repair. Fortunately, herbs that have an affinity for the joints can be found throughout nature, in a wide variety of locations around the world — including those we have infused into Yogi Granola. Our herbalist has hand-selected specific botanicals because of documented historical uses as well as for the voluminous clinical research which supports their continued use as joint-supporting herbs. Here are some of the more powerful herb for joint health, joint support, and joint restoration. Tang-kuei root: Joint pain and joint discomfort usually involves swelling at the site of action. Tang-kuei root has demonstrated the ability to reduce edema (swelling) in both early and later stages of inflammatory processces by substantially reducing leukocyte counts, the number of neutrophils, and the expression of interleukin-6 (IL-6) at the site of injury or activity. Tang-Kuei is also known to raise the levels of PGD2 in the body. PGD2 is a prostaglandin that is the body’s own natural anti-inflammatory. Tang-kuei is also known to contain a fair amount of ferulic acid. Ferulic acid is an antioxidant that has demonstrated the ability to protect our cells from free radicals that are known to worsen disease processes and ramp up inflammation. Rehmannia: What makes Rehmannia unique is a compound called catalpol. Catalpol is a specific type of iridoid glycoside that has research has shown to provide protective effects on dopaminergic neurons in order to help inhibit microglial activation. The action of this herb reduces the production of pro-inflammatory factors within the body. Jiang Huang / Curcuma / Turmeric: — Turmeric has finally been recognized in the West for its healing abilities, with countless research being conducted on this herb over the past 20 years. Science is now confirming what has long been known by Indian Ayurveda practitioners about Turmeric for well over 5,000 years. Turmeric improves the circulation of blood to the sinews and tissues of the body. At the same time, compounds within turmeric act as natural anti-inflammatory agents to quelch and soothe inflammation. and sooth optimal to a quality natural joint supplement. Turmeric has proven itself to be safe for daily long-term consumption and is often the first herb prescribed for joint pain and joint swelling. Du Zhong / Eucommia Bark: The bark of Eucommia has a similar appearance to joints, tendons, ligaments and bone. For example, upon examination, you can see that each strip of bark is joined together with connective ’tissue’ that allows it to bend. Chinese herbalist have been prescribing this herbal bark for thousands of years to broken bones, strengthen and mend tendons and ligaments. Eucommia bark also does triple duty as an anti-inflammatory agent and has become popular for reducing low back pain! Walnuts: Walnuts are high in omega-3 fatty acids. Researchers studying the benefits ofSuperfood Granola Walnuts have discovered they lower C-reactive protein (CRP), a bio-marker of inflammation that is associated with increased risk of cardiovascular disease and arthritis. Eating walnuts on a regular basis helps balance cholesterol, relax blood vessels which lessen stress on the heart, and regulates blood pressure. Almonds: Almonds are a great source of the antioxidant known as vitamin E. A meta-analysis of Almond research indicates that consuming an almond-rich diet lowers multiple markers of inflammation, including the dreaded C-reactive protein (CRP). Nuts and seeds, in general, are anti-inflammatory and should be a part of any joint-supporting dietary regimen. Yogi Granola is a Grain-free, Gluten-free Superfood Granola is that made with organic ingredients like sprouted nuts, sprouted seeds, adaptogenic herbs and superfood botanicals that have proven to be effective at reducing inflammation, improving joint health, enhancing brain cognition, reducing anxiety and promoting a balanced state of mind. Visit Yogi Ganola to learn more.